Please note that Pocket Farming is no longer in business and is sadly closed. Unfortunately this difficult decisions has been taken due to too many other commitments and the inability therefore to continue to run the business effectively. We apologise for any inconvenience and thank you for your previous support. 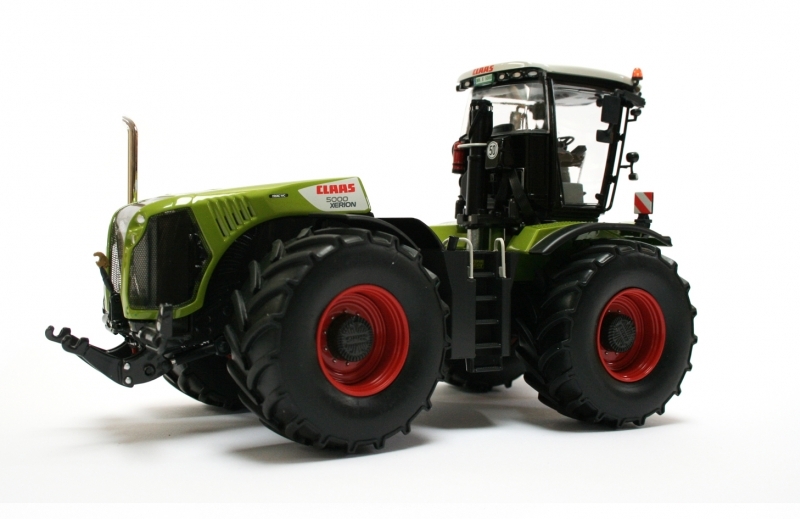 Claas Xerion 5000 Trac VC in 1:32 scale. Produced by Wiking, this model come in a box with polystyrene casing to protect the excellent level of intricate detail found on this model. With its high-quality construction and featuring rich detail, the Claas Xerion 5000 Trac VC model from Wiking is a fantastic replica of this powerful machine. This handmade, die-cast model with finely moulded plastic elements include details such as folding mirrors, opening bonnet, rolling wheels, opening doors and Variable Cab (VC) which enables the cab to be rotated from its central position to a rear facing one above the rear axle. This is an excellent model and one that collectors instantly fall in love with once they see the fantastic features and detail included. This is a highly detailed model with many intricate parts and therefore is recommended for collectors over the age of 14 years. 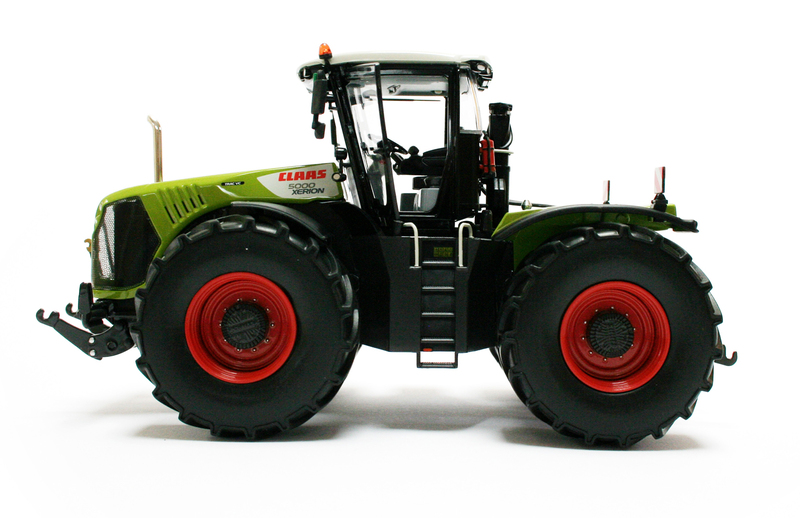 The Claas Xerion 5000 is used for a wide range of applications, not only in agriculture but other industries such as forestry. In the full scale farming world the Xerion is a superb land work tractor, perfect for cultivating and drilling but is also very effective for various other applications such as silage clamping and mowing. 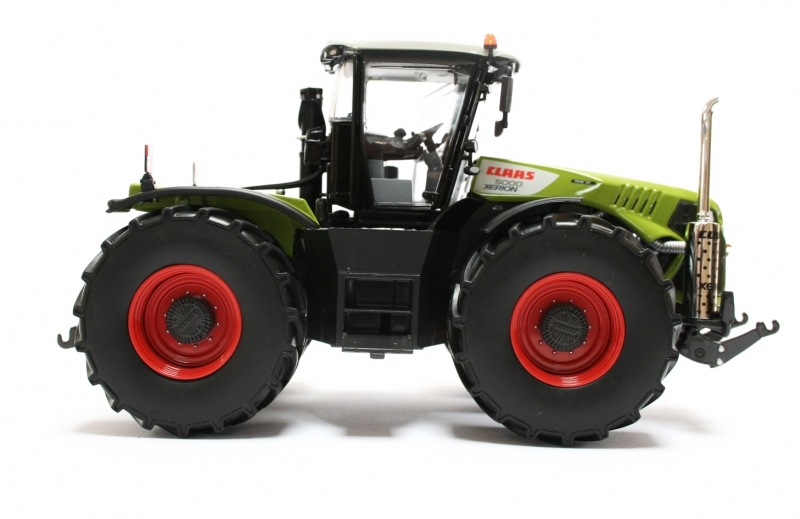 The four large and equal sized tyres give this machine a lot of traction whilst also being very manoeuvrable due to the four-wheel steer, which enables it to turn cleanly on the headlands where some of its rivals may scuff the soil, damaging the soil structure as they turn. As well as all wheel steer the Xerion has various other steering modes to suit the specific work that it is being used for. 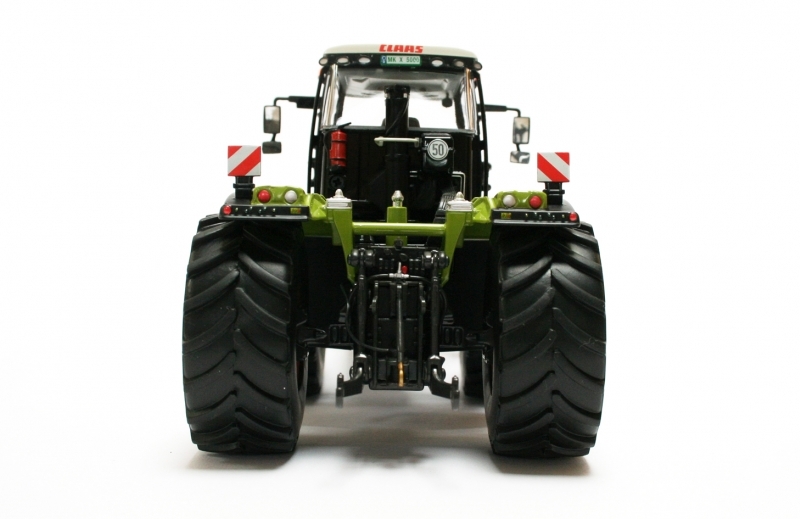 As with many of the modern machinery today, the Xerion has numerous technologies available such as yield mapping and telematics which can monitor fuel, output, engine load etc. 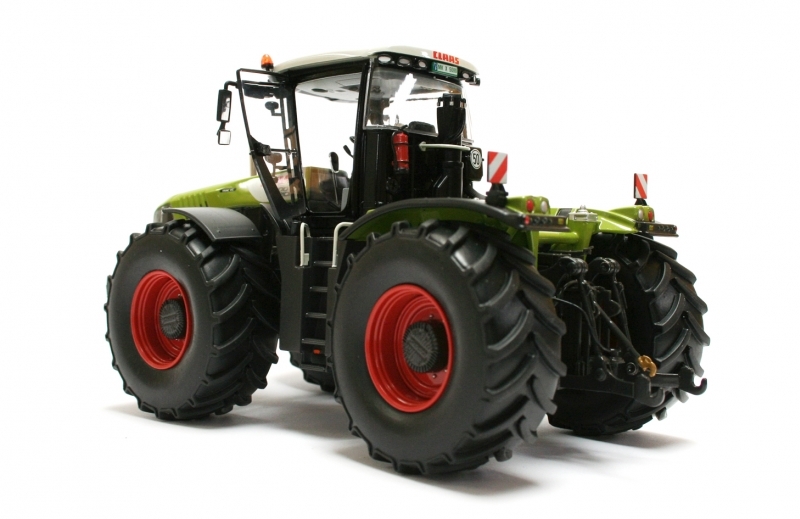 to provide a complete picture of the tractor's performance. If enabled, all of this information is transmitted from the machine back to the farm office for analysis and review. 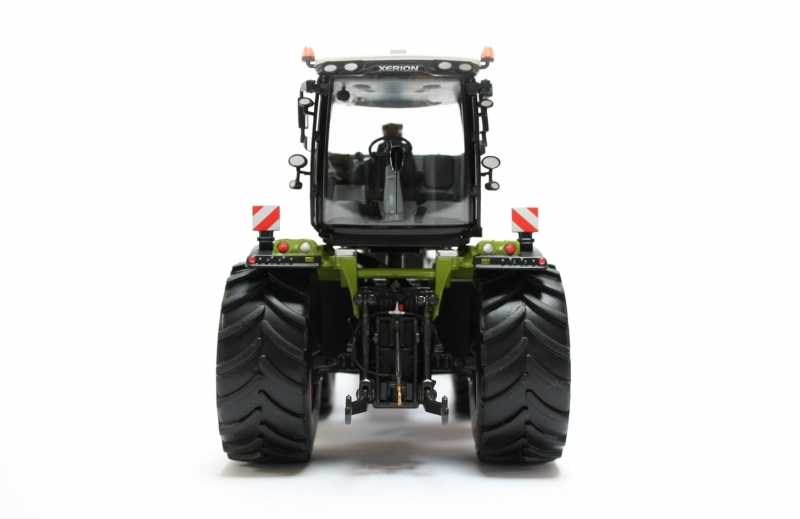 The Xerion features large windows which provide excellent visibility and this VC version (which stands for Variable Cab) enables the operator to rotate the cab at the press of a button to move it from its central position to a rear facing one above the rear axle. This rear facing position is perfect for certain applications, for example silage clamping, where a buckrake may be used with the machine to push the silage up into a clamp. 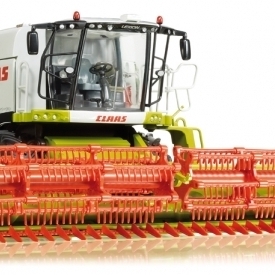 In this situation it is important to have a good view of the implement you are working with and because often the implements attach to the back linkage, the Variable Cab is perfect, as you can turn the cab around to see the implement clearly. 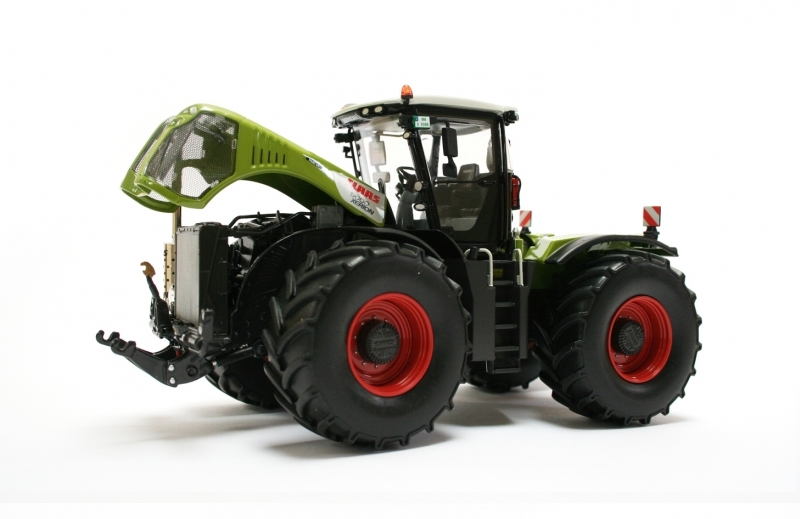 Grass mowing is another good example, where you would attach the mowers to the back linkage where there is more capacity and lift but with the Xerion you can rotate the cab to enable you to see the implement perfectly whilst working. This is a great piece of machinery with too many features to mention but you can see why those who have them in the full scale farming community like them so much. 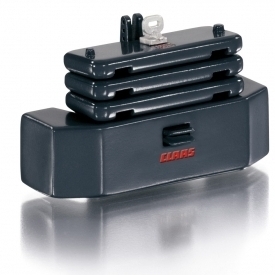 Claas Xerion Ballast weights are also available for the Claas Xerion 5000 Trac VC. 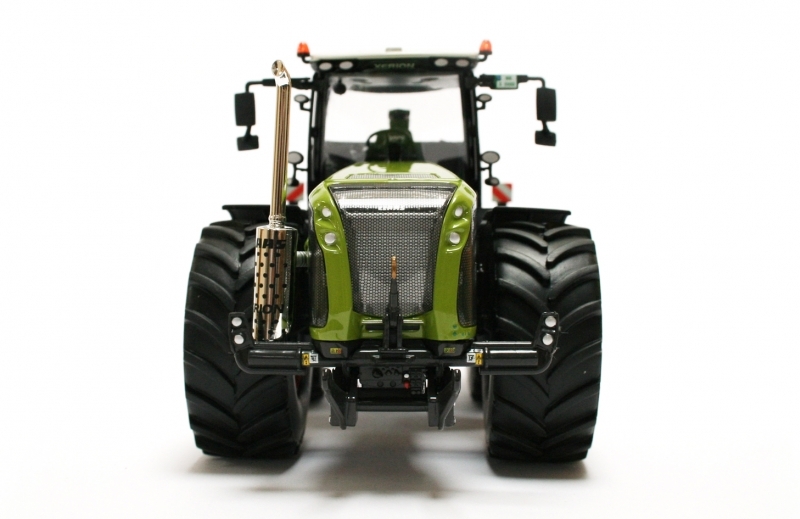 The rear hitch on this tractor is slightly wider than on most other 1:32 scale implements and therefore may not be compatible with some items. 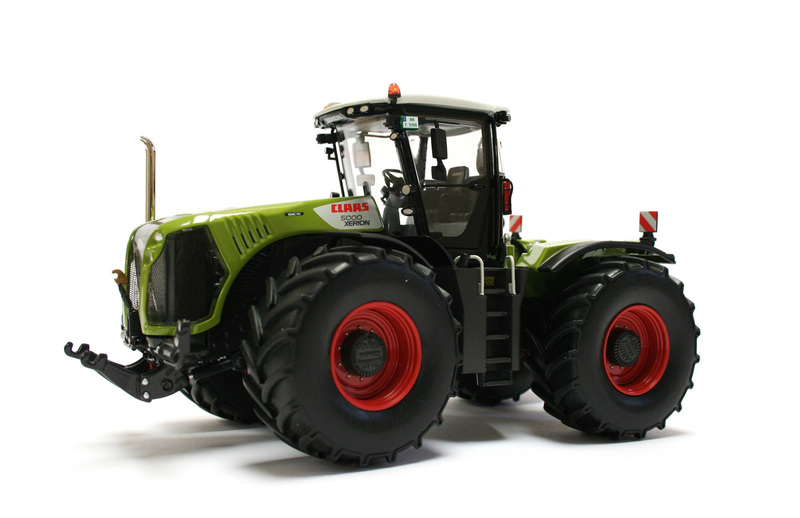 The full scale Xerion in action.